Cars - email Firefox Custom Car at Firefox Rock Festival to a friend! 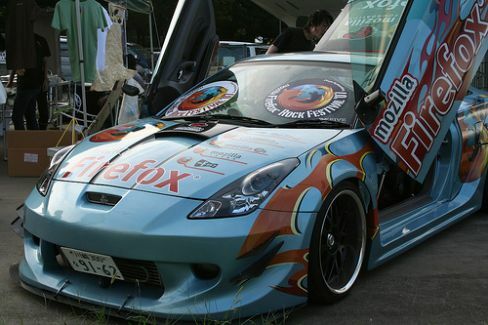 The Firefox customized car was detailed and debuted at the Mozilla 24 "Firefox Rock Festival" in Tokyo on Sept. 15th. It will go on to compete in the largest all Japan custom car show in Nagoya later in September.